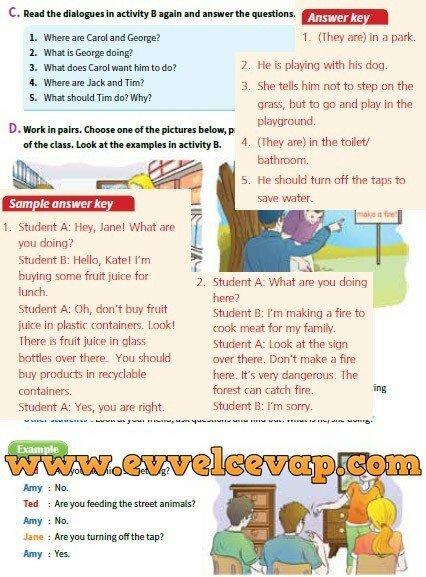 C.Read the dialogues in activity B again and ansvver the questions. 5.What should Tim do? Why? Work in pairs. Choose one of the pictures below, prepare a dialogue and act it out in front of the class. Look at the examples in activity B.
A.Work in groups and play the miming game. Other students : Look at your friend, ask questions and find out: What is he/she doing? Ted: Are you feeding the Street animals? Amy : No. Jane: Are you turning off the tap?